Edward Chipman Public Library – Supporting all people in their enjoyment of reading and pursuit of lifelong learning. Supporting all people in their enjoyment of reading and pursuit of lifelong learning. Join us Saturday, May 18th for Game Day at the Library from 2PM- 4PM! If you haven’t been to Game Day yet, you’re missing all the fun! We have board games, card games, Twister, Dominoes, and more! Join us every 3rd Saturday of the month from 2 PM -4 PM. 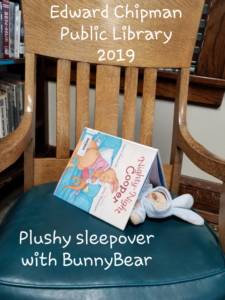 Plushy Sleepover is Wednesday April 24th. 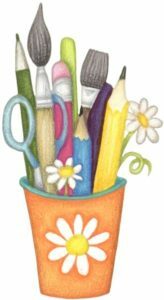 Join us at 5:00 pm of a quick craft, a story, song, and special goodbyes. Pick up your stuffed animals up the following day, Thursday April 25, between 1:30pm -7:45pm. When children return to collect their stuffed animals, we will provide pictures showing all the fun things they did at the library! Participation is limited to one stuffed friend per child, and plushy friends are reminded to leave blankets and other accessories at home. 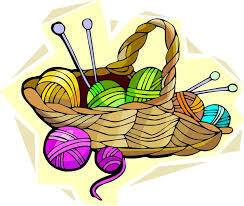 Join us Tuesday, May 21st at 6 PM for our new Craft Club for Children! Have a blast drawing, painting, and upcycling everyday items. This class is best suited for children 1st grade – 8th grade. Future Craft Club dates will be the 3rd Tuesday of every month. 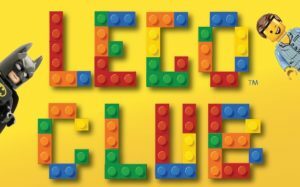 Grab your team of friends, family, and master builders….and become our next Lego Club Champion! Build a creation based on a theme to be revealed that night. Team creations will be displayed in the library and voted on throughout the month. The winning team will be announced at our next Lego Night. Plan to join us Monday, April 29th at 6PM for a new theme, more fun, and a chance at winning that trophy! 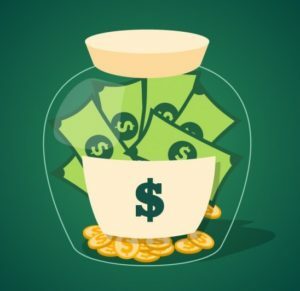 Come to our Insider’s Deals and Savings group once a month! Every month we will explore a different way to save money and get a great deal. How to find the best deals and coupons for free food and drinks, discounted meals, rewards cards, and more! Our next meeting is April 25th at 6 PM. 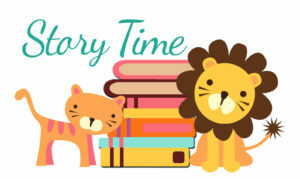 Join us every Wednesday at 11:00 am for Storytime and Sing-A-Long for all young children. We will have a fun Sing-A-Long for the first half an hour and Mother Goose will read stories for the last half an hour. Join us every Tuesday from 1pm – 2pm for our free knitting and crocheting classes. Beginners to experts, all skill levels welcome! The Edward Chipman Public Library announces a partnership with Driving-Tests.org, a company dedicated to driver safety and education, to offer free Department of Motor Vehicles (DMV) practice tests to library patrons. This partnership allows the Edward Chipman Public Library to harness the power of Driving-Tests.org’s specialized practice exams to turn new drivers into safer drivers.